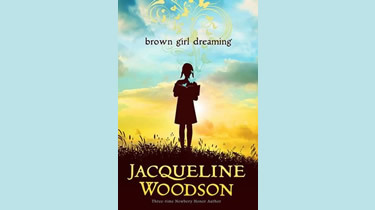 The VSC Libraries invite the VSC community to join together to read Jacqueline Woodson’s Brown Girl Dreaming in honor of Black History month. Brown Girl Dreaming was the 2014 National Book Award winner for Young People’s Literature and was selected as the Vermont Reads book for 2017. Each VSC library will be hosting an event during February for students, staff and faculty to talk about the book – the Calvin Coolidge Library will be holding a reading and book discussion on Wednesday, February 28th from 5pm to 6pm in the Library Lounge. Copies of the book are available for checkout at the Calvin Coolidge Library – please ask for a copy at the Circulation Desk. Keep up-to-date with Library news and events! Calvin Coolidge Library’s primary mission is to foster information literacy and provide our community with access to collections that support research, teaching and learning, intellectual curiosity and enrichment, and civic engagement.